By 2027, automation will have a strong impact on employment – but it won’t reach the level of a job apocalypse. There’s a lot of talk these days about how robots, software, and artificial intelligence will (or won’t) steal jobs. On one side of the debate you find denialists, like U.S. Treasury Secretary Steven Mnuchin, who believes that widespread impact on jobs is “50 or 100 years” away. On the other side, you find steadfast pessimists: Analysts who believe that robots will replace as many as half the jobs in the economy, like Oxford scholars Carl Frey and Michael Osborne, or Martin Ford, author of Rise of the Robots. Each of these views holds elements of truth, but both are also fundamentally incorrect. Denialists are wrong, as automation technologies have replaced human jobs for more than a century and this trend has been accelerating for 10 years. Advancements in artificial intelligence place additional classes of jobs – in white collar roles – at risk. Yet pessimists overstate their case. The revolution won’t happen overnight: Forrester predict that by 2027, automation will have a strong impact on employment – but it won’t reach the level of a job apocalypse. 14.9 million new jobs will be created. This is an aspect that is often overlooked: Automation will spur the growth of many new jobs, including some entirely new job categories. Demand for software developers will grow in concert with every type of automation technology, branching into new areas like robotics. Automation will also spur new opportunities for creative employment. One company, which just deployed a conversational chatbot, plans to hire a fiction writer. Why? To create an authentic, respectful engagement using appropriate "voice" and style. 24.7 million jobs will be lost by 2027. This equates to a job loss of 17% between 2017 and 2027. Physical robotics will place increasing pressure on jobs like manufacturing, which have already faced significant hollowing-out in the U.S. Other production jobs – such as inspectors, testers, sorters, warehouse pickers, and packaging and filing machine operators -- will decline, too. But white collar jobs are far from immune: Sales roles will take a hit from increasingly automated self-service, and office and administrative support jobs will suffer due to software automating tasks, from meeting scheduling to clerical work. Net jobs lost to automation will reach 9.8 million. Taken together with the jobs-lost number, Forrester’s analysis yields a 7% of jobs lost in the U.S. economy by 2027. Some of these jobs will be replaced by new jobs outside of the automation economy, some will be reflected in the unemployment rate, and others will drop out of the labor force; the labor participation rate declined from 66.4% in January 2007 to 62.9% in January 2017. Automation will transform most jobs. The largest effect of automation will be job transformation, where humans will soon find themselves working side by side with robots. Budget directors working in the 1970s literally spent much of their time calculating budgets – by hand – with a pencil and a calculator. Today, budget directors focus their working hours on strategic and compliance tasks. Similarly, the jobs we do today will be aided by artificial intelligences and physical robots that take tasks off our plates, allowing us to focus on higher-order activities. Drive or hinder customer experience. Automation reconfigures back-end, operational technologies that serve customers. For example, one major manufacturer of airplane parts replaced human truck drivers with robots for just-in-time parts delivery, which is much faster than humans could accomplish. Robots also reshape customer experiences directly. Intelligent voice automation differs from traditional interactive voice response in the sophistication and customer satisfaction aspects of its solution. CIOs must pick the right level of automation to drive customer experience, as over-automating the wrong process can hurt CX – but so can under-automating. Affect overall workforce composition and employee experience. Integrating automation technologies into a company will take years. 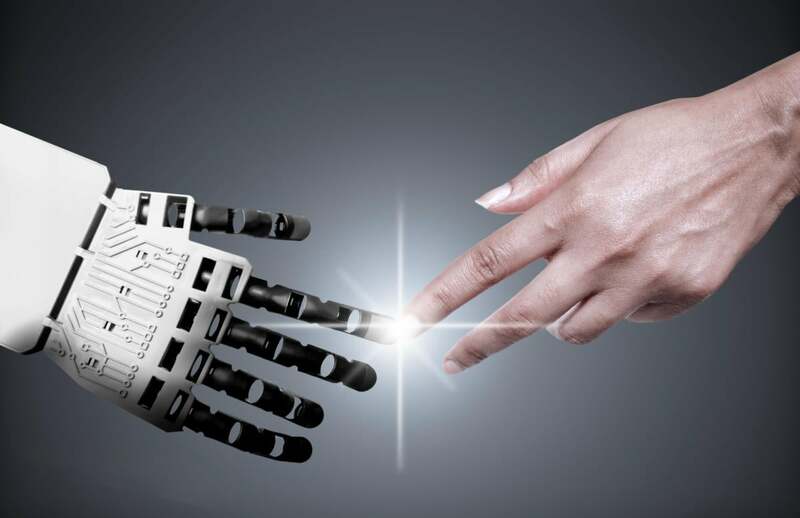 CIOs will need to hire and retain the best human workers in existing roles, even if they'll eventually be eliminating those roles and, hopefully, redeploying those human workers elsewhere. Technology leaders will also need to acquire new skill sets (in both technical jobs like engineering and nontechnical jobs like HR) to create success here. Automation will affect the entire workforce, skills, and staffing strategy going forward. And leaders who implement automation poorly — in a way that alienates human workers — will lose the powerful opportunity for EX to drive better CX. The future is not as gloomy as most think. Automation won’t destroy all jobs, but it will transform the workforce. Forward-thinking CIOs will prepare now to create value in having employees work side-by-side with robots. Interested in learning more about the future of jobs? Listen to the latest episode of Forrester’s ‘What It Means’ podcast where I discuss how business and technology leaders can get in front of this dynamic as automation reshapes the customer experience and evolves the world of talent management.